Time is over. HMD Global finally announced via official Nokia Twitter account that Nokia 3310 (2017) will now start shipping. But who knows where? Chances are you’re going to spot one of those candy bars just anywhere on the market, but there’s also a huge possibility of it being the knockoff version. 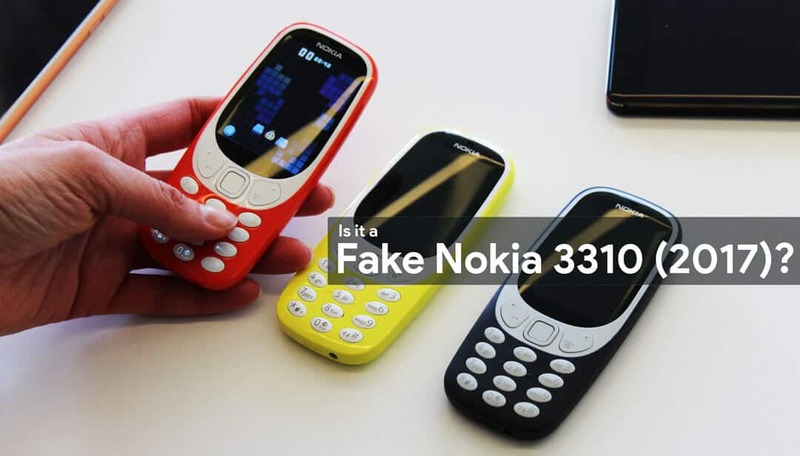 Follow this simple tips that we gathered as for how to spot a fake Nokia 3310 (2017). The original Nokia 3310 has an elegant polycarbonate body. Currently, the device is available in four different colors, the glossy warm red and yellow and the matte finished dark blue and gray. 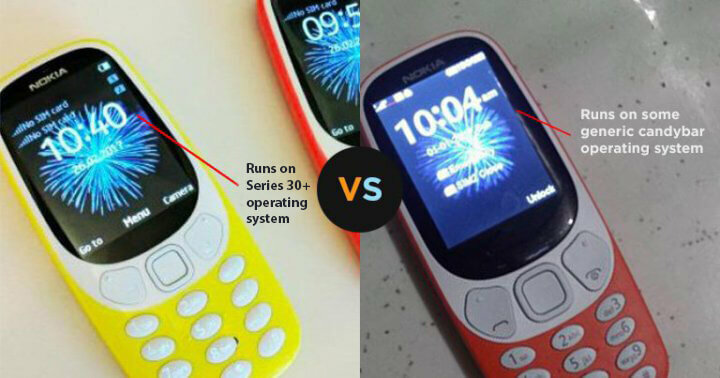 The first thing to spot the fake Nokia 3310 is its white outer lining that frames the screen. The authentic Nokia 3310 has an elegant and radiant white outer lining while the fake has an off-white almost dirty white colour. 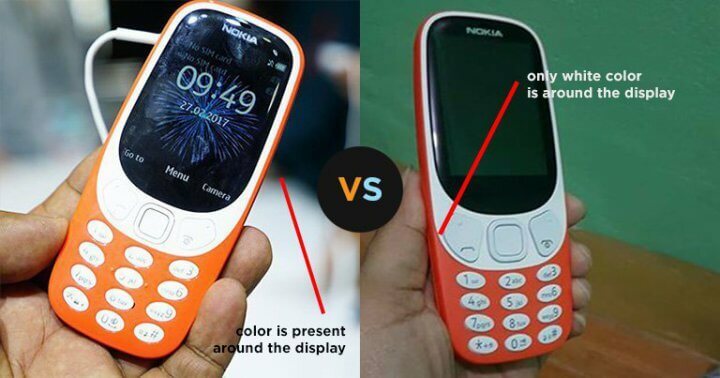 The white outer lining of the original Nokia 3310 also doesn’t cover the whole side space of the device. The authentic model has its colour runs from the back of the phone to the spaces between the keypads through the outer edge of the white lining. 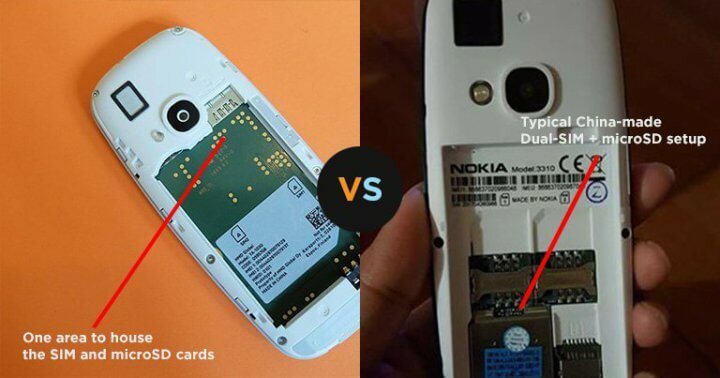 Also when you remove the battery cover, you will see that in the original Nokia 3310 (2017) the circuit board is visible with its microSD card and SIM card slots tucked in. When you put the battery, only the small part of the SIM and memory card became visible. Whereas in the fake model, the green circuit board isn’t visible and was covered with plastic with the whole SIM card slot and MicroSD card slot visible right where the battery sits in. We can also see the difference between the fake and authentic unit by simply looking at the LED flash and speakers. The LED flash of the original model is small and bright while the fake model has an unnecessary huge LED flash that is yellowish in color. Also, note that the speakers of the original models are rectangular whereas the fake model looks more of a square. Looking at the screen, the original model has a curvy screen display while the fake Chinese crap has it flat, boring and doesn’t look like it runs through the edges of the frame thus making it look small. Also Read: Nokia 3310 listed on Swedish website with 3G support. Also, one more thing to notice is that the original model runs on Series 30+ operating system by Mediatek while the fake model runs on a typical Candybar operating system. The original model has its battery icon located on the topmost right corner of the screen with both the dual SIM icons located just below it, all in horizontal. The fake model has it placed in a single row at the top of the screen. 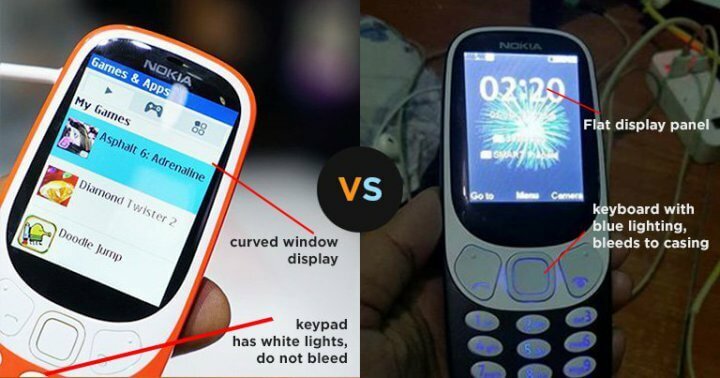 Lastly, when you press the keypads, the authentic Nokia 3310 (2017) has a clean white lightning behind its keypads that doesn’t bleed light. As shown in the photo above, the knock off bleeds blue light that looks messy and totally out of place. There you have it! I hope that helps you in any way. As of now, there are no official stores announced by HMD Global that sells certified authentic Nokia 3310 (2017) in India. Maybe it’s much safer to wait. Patience is a virtue! Did Samsung lie about UFS 2.1?